Home Breaking Travel News Why Iran is important for UNWTO Secretary General Zurab Pololikashvili? 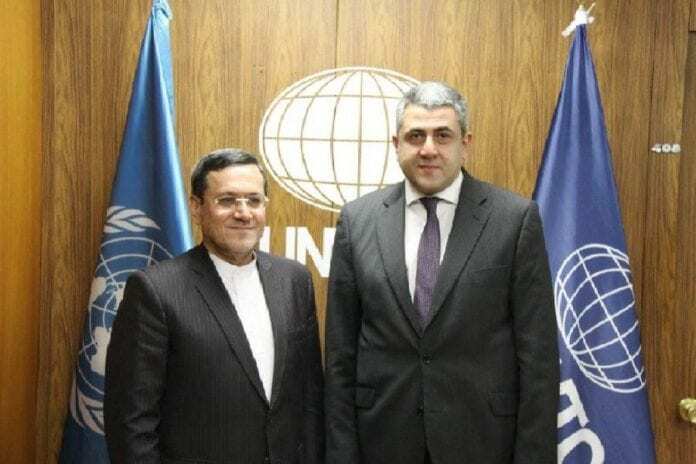 Why Iran is important for UNWTO Secretary General Zurab Pololikashvili? The Islamic Republic of Iran is an important country for the UNWTO Secretary-General Zurab Pololikashvili. Iran is a member of the UNWTO Executive Council and if Pololikashvili wants to run for his second term needs the support of Iran and other Executive Council members. Pololikashvili is very comfortable around the diplomatic community in Madrid having represented Georgia as their ambassador before he was elected to the UNWTO job. Secretary-General Zurab Pololikashvili and Iran’s Ambassador to Spain Hassan Qashqavi have called for increased cooperation on tourism. This was reported in the Teheran Times this morning. After reading the report it doesn’t appear clear how this expanded cooperation between UNWTO and Iran may look like. According to the report, the officials explored ways for deepening mutual assistance in a Tuesday meeting in Madrid. The Iranian envoy elaborated on Tehran’s strategic policies in the field of tourism as he pointed to existing facilities for simplification in the visa regulations. Active presence of Iranian companies in the FITUR tourism trade fair and holding various cultural exhibits were among examples the Iranian official set to highlight tourism ties between Iran and Spain. Pololikashvili, for his part, said the UN body is ready for contributing to the development of the industry. He hailed Iran’s tourist attractions as well. Earlier this month, Pololikashvili held a meeting with Iran’s Cultural Heritage, Handicrafts and Tourism Organization Director Ali-Asghar Mounesan, discussing the issue of establishing a handicrafts academy. In November, Pololikashvili paid a visit to Iran. He gave a keynote speech at the 40th UNWTO Affiliate Members Plenary Session held in the city of Hamedan. The National Weather Service reported Hurricane Lane has been downgraded to a tropical storm, with maximum sustained winds of 70 mph. Nepal Tourism Board (NTB) organized Nepal Sales Mission in three major Australian cities: Melbourne, Sydney and Brisbane from 2nd to 5th July 2018 in coordination with Hotel Association Nepal (HAN).